The 18144 replaces the sensor element, filter, and cap of a CS215 Temperature and Relative Humidity Probe. Replacement can take place in the field—eliminating downtime. 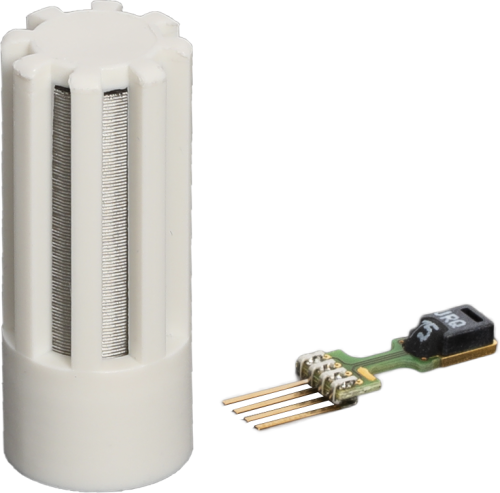 The 18144 provides a replacement RH chip with filter and cap for the CS215 temperature and RH sensor. It is field-replaceable, eliminating the downtime typically required for the recalibration process. The 18144 is plugged into a socket underneath the end cap and filter assembly. Campbell Scientific recommends chip replacement every two to three years, depending on the application.